Start with a Question: Can the #EdData Discussion Bring Balance to American Politics? Can the #EdData Discussion Bring Balance to American Politics? When the founders discussed the freedoms and limitations that come with our rights to speech in the First Amendment, they considered both sides of the debate. Revolutionaries pushed for total freedom of speech, but colonists who were hesitant to leave the security of the British Empire warned against the anarchy that kind of freedom might bring. Similarly, the revolution of education technology has brought about a debate. EdTech advocates want the freedom to find out what technology, and the data it creates, make possible for students and teachers. Parents and concerned analysts warn against gathering and keeping this kind of personal data. What are the long term consequences? Click here to read the issue. 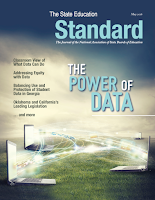 This week the National Association of State Boards of Education released it's latest issue of The Standard, a triannual journal that brings expert advice to state education policymakers at the state level. They called it "The Power of Data" and wisely gathered a group of authors who come from varied expertise and perspectives on technology in schools and the impact it has on privacy. Whether we are talking about speech or privacy, it is essential to balance freedoms with risks. Recently I was talking with a law and policy expert who works specifically in the education data arena, but who has not worked as an educator in a modern technology-rich classroom. For him, the rules around student data privacy are clear cut. They are based on laws and regulations like FERPA, COPPA, and PPRA. As we chatted, I asked what a teacher should do when a student asks to use a tech tool the teacher is unfamiliar with in the course of a lesson or project assignment. What if it is a tool the student has used outside of school, and wants to bring into the academic fold? He was skeptical. He asked me, "How often does that really happen?" As an educator who works with teenagers daily I could confidently respond, "Every day." He had not considered that students might be self-selecting the tools they use in school. How do the policies around data privacy, which were designed to help guide the companies that design the tools and the schools that select them, apply to students who select tools for themselves? He wasn't immediately sure of the answer. Neither was I.
Derek told me during a voice call that his young students love to see how they are doing and feel motivated to improve when seeing their own academic data under these circumstances. 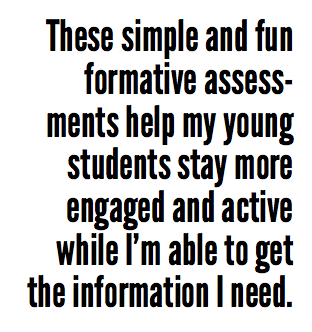 It has shifted the culture of his classroom so that students enjoy the challenge of assessment, unlike the feelings they have toward filling in bubbles for state testing. 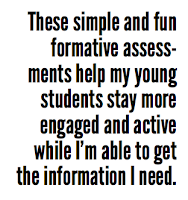 If it is possible for a tool and instructional strategy to make a public school teacher and his students feel so passionate, it is worth considering. 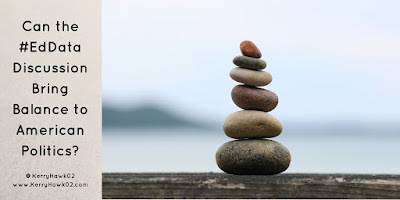 In this era of political extremes, is balance possible? Here is my call to action: I challenge the leaders in education data privacy think tanks and policy groups to find a balance that will both protect children and empower educators. Let's consider all perspectives, including teachers' and students', when making, interpreting, and amending policies that will determine how data is collected and used by tech companies, educators, and learners in the future. Teaching Can Be Lonely. Let's Fix That.